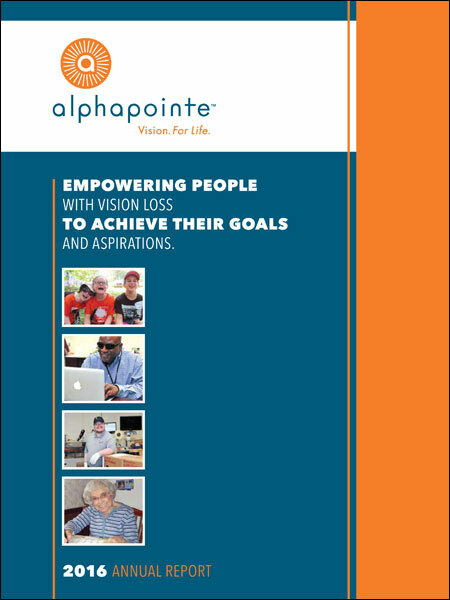 Alphapointe is the only comprehensive provider of vision rehabilitation services in the state of Missouri, serving thousands of children, adults and seniors each year who strive for independence. 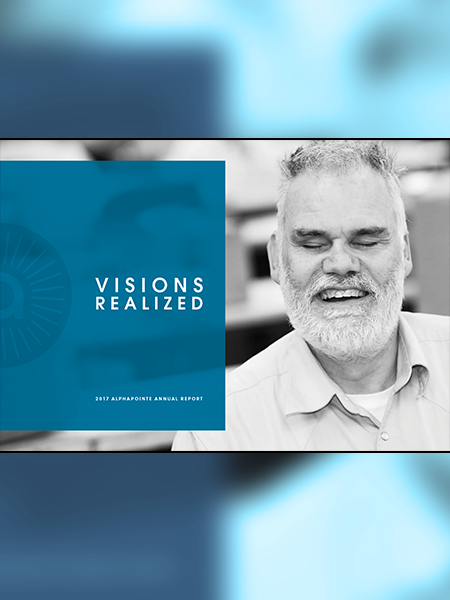 Our NAC accredited services include low vision rehabilitation, educational outreach, activities for visually impaired youth, braille, orientation and mobility training, adaptive technology and career counseling. 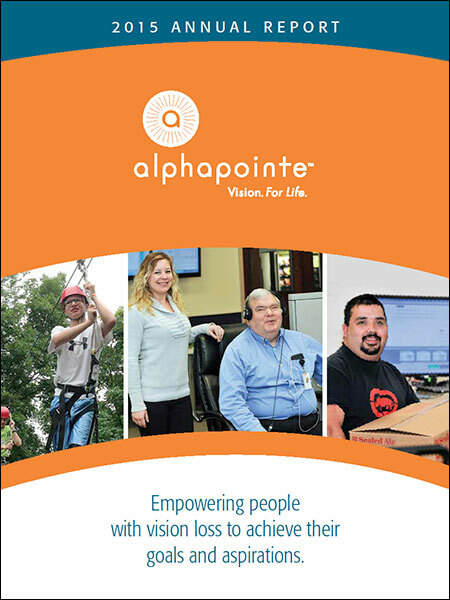 Alphapointe has principle operations in Kansas City and Queens. 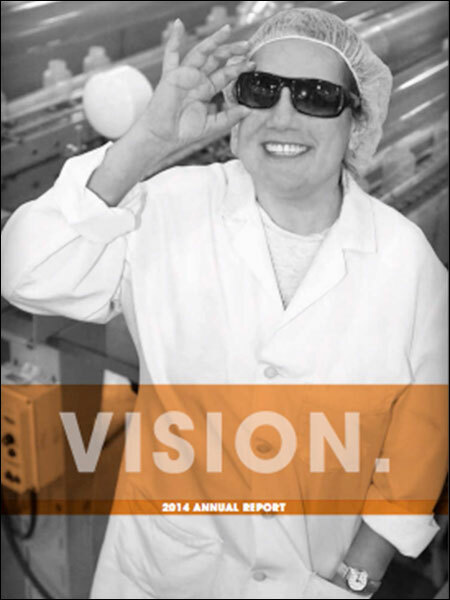 Our diverse workforce includes highly-skilled blind, low vision and sighted men and women whose hard work and dedication serve as the foundation to our success. We operate nine facilities in four states, producing quality products with the highest standards for businesses across the nation. Every time you partner with us, you empower people with vision loss to succeed. 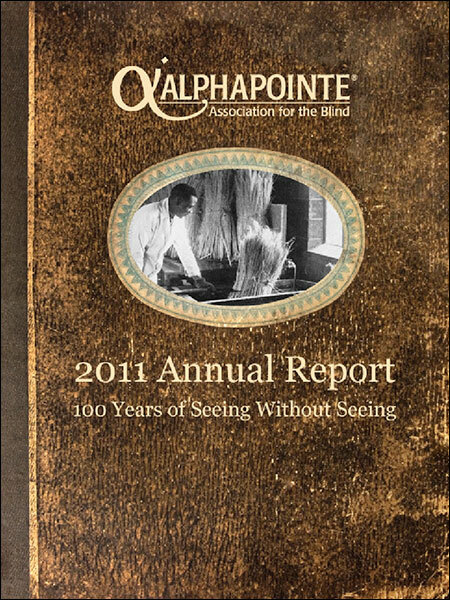 What began over a century ago in one woman’s living room in Kansas City has today evolved into the largest employer of people who are blind and the region’s leading provider of vision rehabilitation, education and advocacy to anyone experiencing vision loss. We proudly manufacture a variety of products in our ISO 9001 certified facilities for government and commercial customers. We exceed expectations by providing accurate, consistent production, on-time delivery and exceptional service. Structured as a not-for-profit, 501(c)(3) organization, we are in business to increase your profits, not ours. We continue to grow by providing our customers quality products and services at competitive prices.